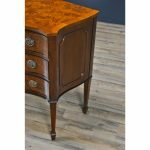 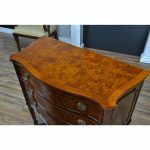 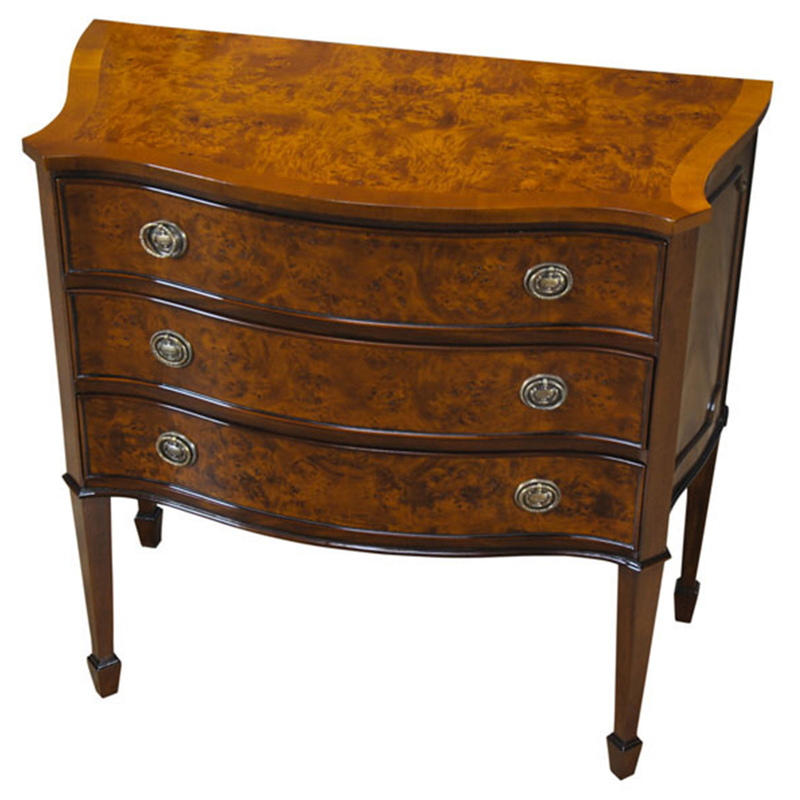 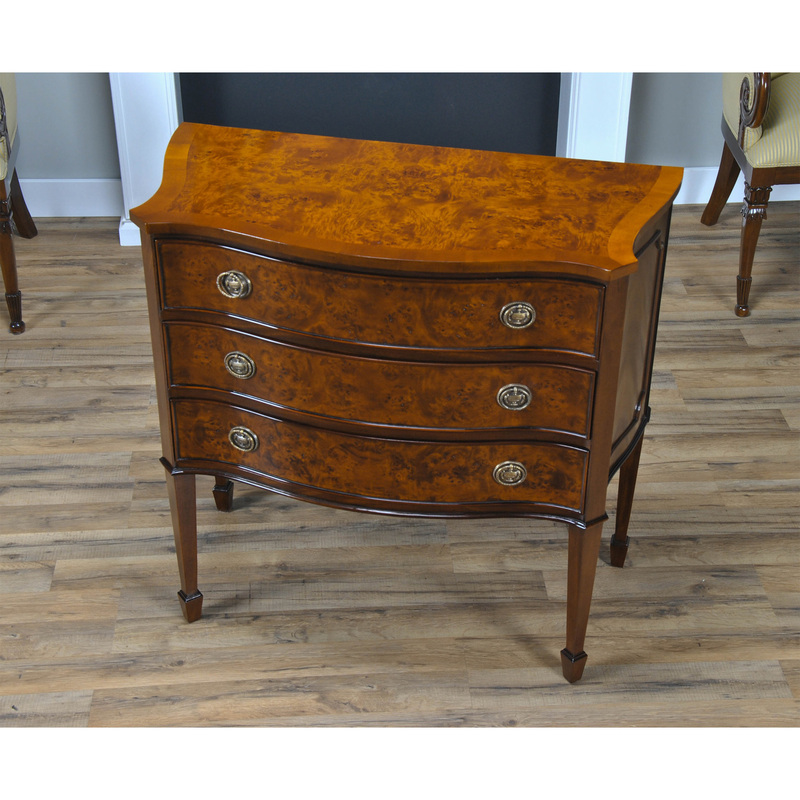 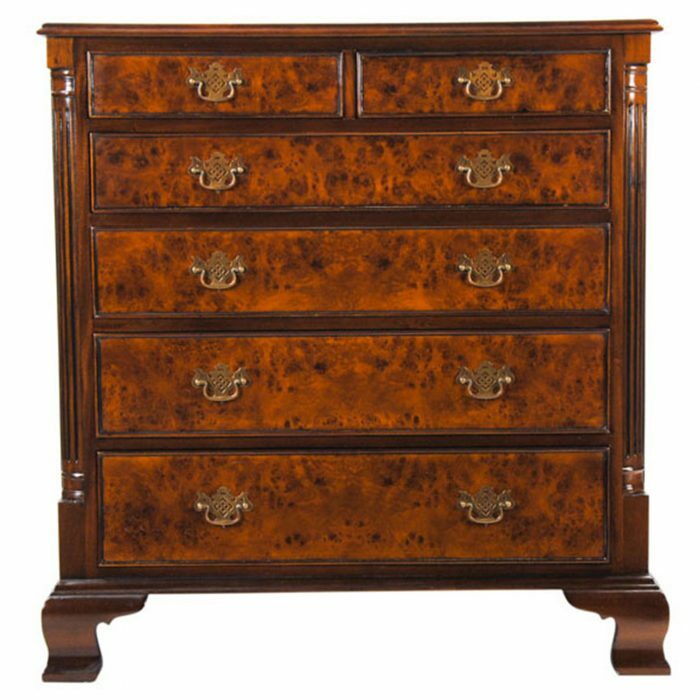 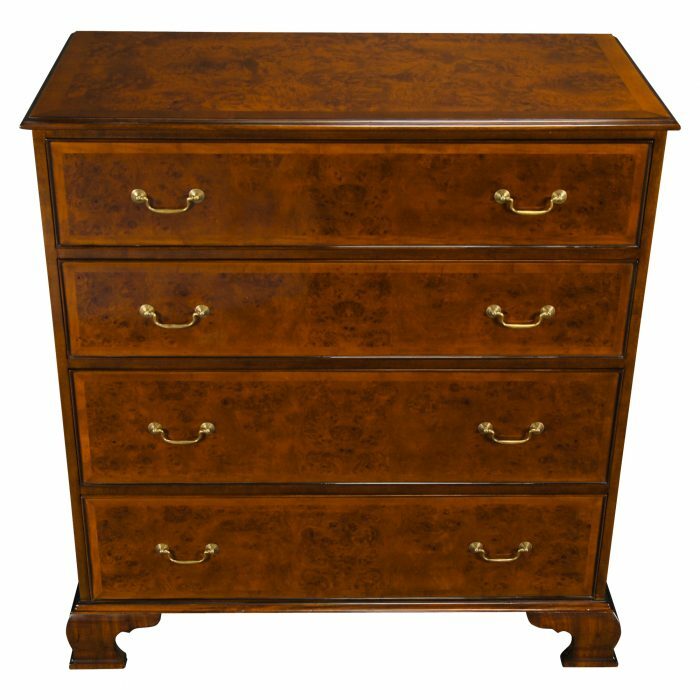 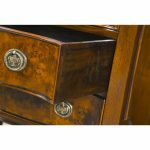 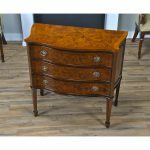 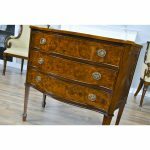 The Niagara Furniture high quality, serpentine front Large Burled Hepplewhite Chest with dovetailed drawers is manufactured using plantation grown mahogany solids and hand selected burled veneers all of which are combined to create a decorative and refined chest. 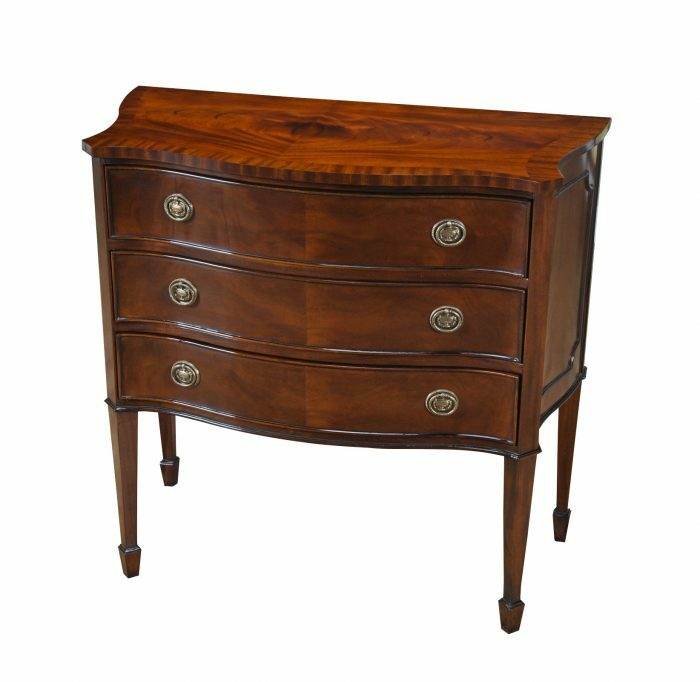 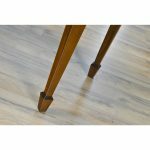 From the burled and banded top to the serpentine front and serpentine sides and on down to the tapered solid mahogany legs ending in Hepplewhite style spade feet this chest will be both useful and beautiful in any setting in your home. 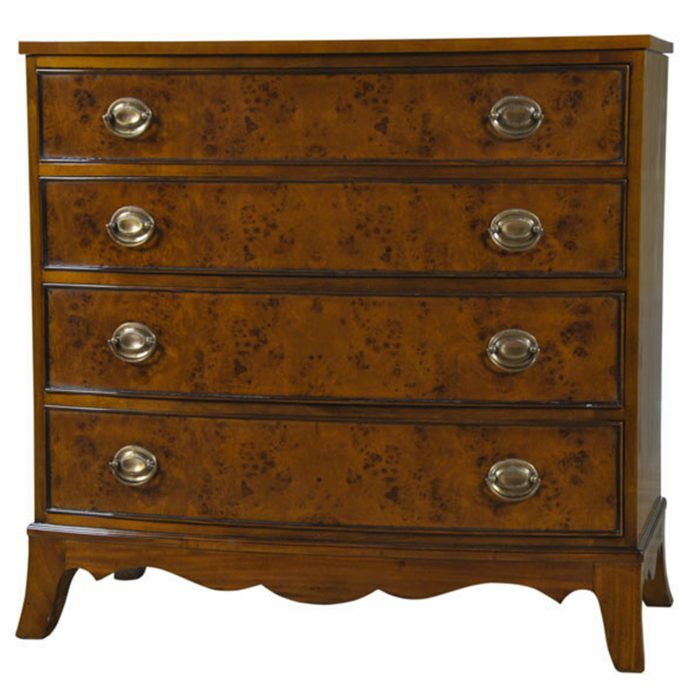 Most often used in the bedroom this Large Burled Hepplewhite Chest will also be useful in a front hallway, living room, home office.